The building is set in the historic centre of Varna, near the port, in an area known for trade and town administration. It takes up a corner plot framed by blind walls. The 5 floors are designed as offices to let, together or separately. The glass facades have transparent and translucent panels, which reflect the environment outside and let in light and views. 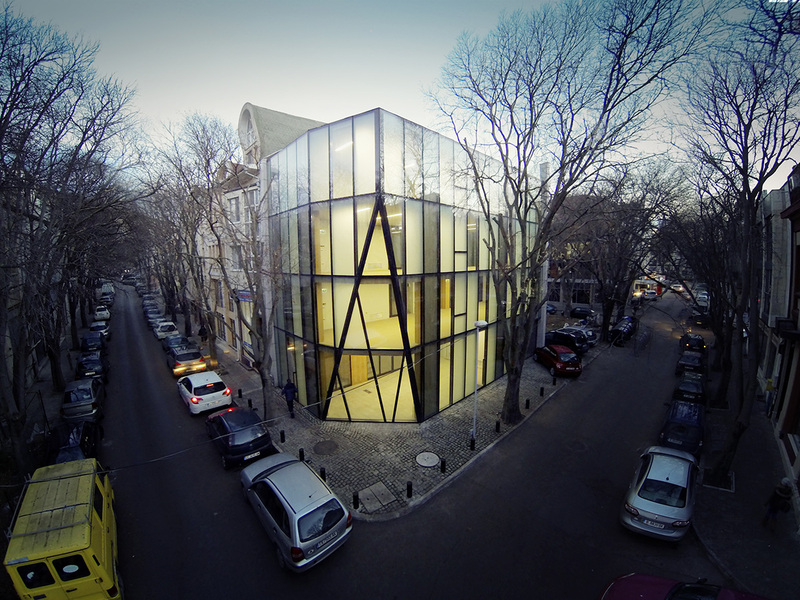 Magdalena Matanova is a founding partner of MMXX Architects, an architectural studio based in Sofia, Bulgaria. Together with her colleague, architect Hristo Hadgiganchev, she formed the independent practice in 2006. Their work encompasses architecture, interior design and furniture design. Projects include: residential buildings and apartment renovations, residential, commercial and office interiors, administrative buildings, and hotels. MMXX Architects’ design philosophy is lighthearted. As a rule they experiment, and with every completed project their work evolves. They always rely on intuition. Sometimes their ideas are impulsive, and other times they follow classical principles, but they jokes at least once. And since they believes that “the sense of beauty is inborn,” they simply look for different roads to it. In 2008 MMXX Architects were invited to present their work as part of the Bulgarian Pavilion at the 11th International Architecture Exhibition La Biennale di Venezia. Magdalena and MMXX Architects have been recognized in numerous publications and awards, including a Golden Vizar 2007 for their project in Kamen Briag and WhATA Building of the Year 2015 award for the Varna Office Building. Most recently, the Varna Office Building, was nominated for the EU Prize for Contemporary Architecture, Mies van der Rohe Award 2017. 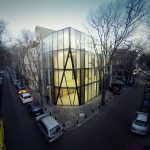 – 2007 first prize – GOLDEN VIZAR for Alternative Architecture – project Kamen Briag, Bulgaria. – In collaboration with Illiana Ivanova, AIA.